TrawlerFest Baltimore is scheduled to run Sept. 25-29 as renovations are completed at Harbor East Marina. 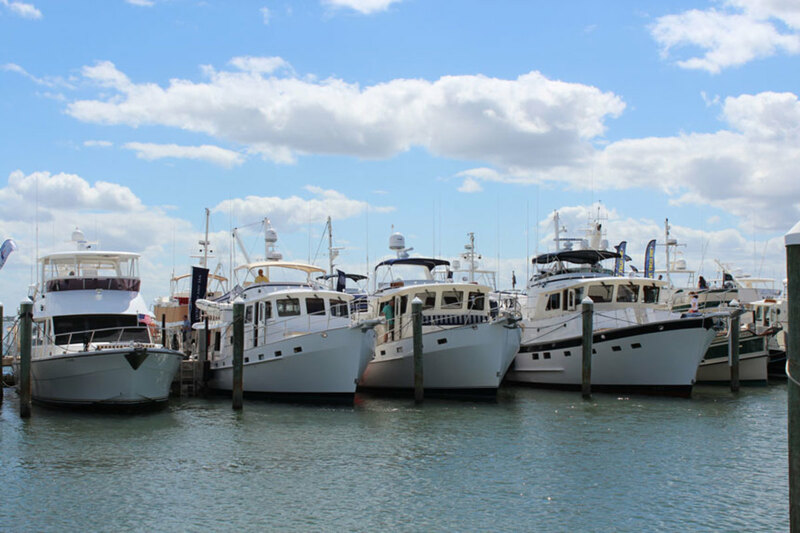 TrawlerFest, conducted by Trade Only sister magazine PassageMaker, is a series of shows designed for power-cruising enthusiasts. It features an in-water display of new and preowned boats, gear and services, educational seminars and demonstrations. Seminars include a session on diesels by PassageMaker technical editor Nigel Calder and boatbuilder and yard operator Steve Zimmerman. The two-day session combines classroom time with hands-on work. A session on weather with router Chris Parker will teach attendees the basics of what drives weather and how to predict it. “Medical Preparedness and First Aid for Boaters with DAN Medical Services” will provide an approach to basic medical care, including case reviews about dealing with medical emergencies in remote locations. A seminar on cruising the Great Loop will review boats that are suitable for the voyage and how to budget. Click here for a full list of seminars. Use the promo code STOVIP when registering for the show for $15 off a seminar or VIP Package.